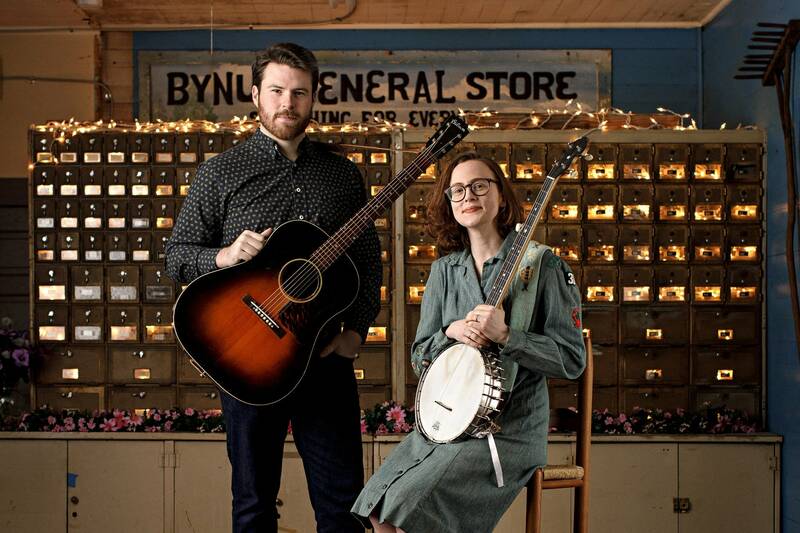 Music is so many things, but when you ask Austin McCombie and Sarah Osborne McCombie — the duo who comprise Bynum, N.C., band Chatham Rabbits — music is, first and foremost, a job. Seven months ago, Austin and Sarah left their previous employment as a banker and a teacher, respectively, to pursue music as a full-time career. But for Chatham Rabbits, it's not something they leapt into without looking. "The way each of us was raised, our parents had really steady jobs all throughout their lives," Austin explains. "For us, we always wanted to play music full time — that was really what we thought was our calling and our passion — but I don't think that either of us thought that was practical by any stretch of the imagination." Fortunately for the duo and for their growing fan base, they began working with Chapel Hill, N.C., based producer Jerry Brown, who gently encouraged the McCombies to follow their musical vocation. "Jerry just gave us a lot of practical advice and had a lot of knowledge about the booking and networking and publicity side of things," Sarah says, "so he made it seem a lot more doable and there were steps we could take, and it wasn't this lofty, like, 'Oh, let's sit in a field of flowers and write songs.'" 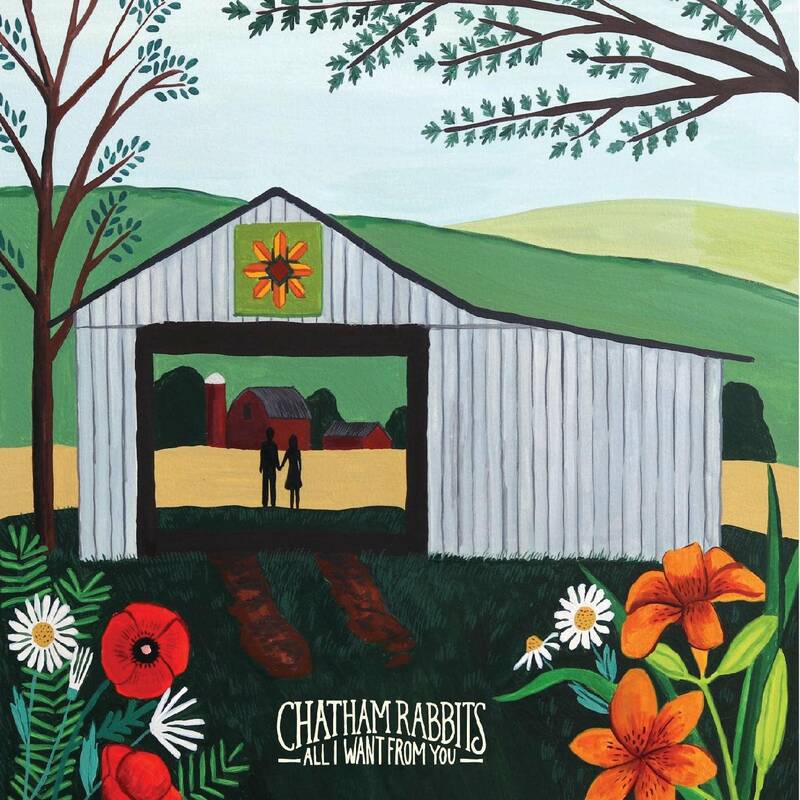 On Jan. 11, 2019, Chatham Rabbits released their debut album, All I Want From You. The collection of nine original songs and one cover reflect the old-time and bluegrass pedigree of the Carolina Piedmont region they call home, while also bearing the innovative hallmarks of artists like Gillian Welch and David Rawlings, Mandolin Orange and Mipso. In fact, Mandolin Orange's Andrew Marlin and Mipso's Libby Rodenbough are among the musicians who lent their talents to All I Want From You. Mike Pengra, program director for Radio Heartland, has added tracks from the album to the Heartland playlist. Since their album dropped, Chatham Rabbits have embarked on a release tour, their first show being held at the esteemed Cat's Cradle in Carrboro, N.C. Originally booked to play that venue's back room, a 160-capacity room that sold out quickly, a late-notice cancellation by the band set to play the Cat's Cradle mainroom opened that 600-capacity space to the nascent Chatham Rabbits. "At first we were a little hesitant," Austin recalls, "because we thought, 'Man, this is going to be a big jump to sell a lot more tickets.' But we decided to give it a shot, and sure enough, we ended up selling out the main room. So that was just an incredible way to kick off the album-release tour. Then we followed that with a couple shows down in Wilmington back to back, and both of those were sold out as well. "We've been just overwhelmed with the reception of us kind of giving this a try," he adds. But it's smart, short hops rather than giant leaps and bounds that have characterized Chatham Rabbits' trajectory so far. Combining a nose-to-the-grindstone work ethic with razorlike pragmatism, the McCombies are taking a measured approach to their growth. For example, their album was originally set to release in November of 2018, but after Chatham Rabbits were signed to the Robust Records label, they were encouraged to delay the release and be even more methodical. The wait paid off, as the label helped Chatham Rabbits gain media exposure through newspaper coverage as well as appearances on broadcast outlets like WUNC public radio and on North Carolina's PBS station. "We want to be like a hot-air balloon, not like a rocket ship," Sarah explains. "So we're focusing on just North Carolina for the tour. We're playing in cities where there's a 60- to 100-mile radius between each of the cities, and hoping we're going to be able to reach a lot of people by playing in these strategic cities. "And we didn't want to just play the main cities in North Carolina," Sarah continues. "We also wanted to be able to play the best venues in each of the cities, so we waited until we could pair up a chunk of time where we could make all of that happen." Thursday night, Chatham Rabbits play The Evening Muse in Charlotte, N.C., and on Saturday, they'll be in Asheville to play a sold-out show at the Isis Music Hall. In February, they'll continue to tour the Carolinas before going further afield. In August, for example, they'll play the Manitou Music Festival in Michigan, and they're already booked to play the Florida Keys' bluegrass festival, Baygrass, in 2020. The concentric circles Chatham Rabbits are drawing are emblematic of their practical approach, under which lies ravenous ambition. "We're working twice as hard as we were before, but now we're working towards what our ultimate passion is, what really brings us life and energy," Austin says. "It's been really fulfilling, and honestly, I feel like we live in a country where if you do work and give 150 percent to something, it's amazing what's doable, and we've certainly seen that in a short amount of time. We've ramped up to the point where we're able to pay our bills. … I would definitely say it's not just because our music is great; that's probably the fifth thing down the list of why we've been successful up until this point. Most of it's just hard work and doing what we need to do to make it work." Chatham Rabbits also attribute their success so far to Brown's tutelage as well as to mentorship from Andrew Marlin and Emily Frantz of Mandolin Orange. Coincidentally, Austin and Sarah, who are married, first met at a Mandolin Orange gig. "When we were thinking about making the jump to do this full time, Emily invited us over to their house with her and Andrew to have dinner and just talk about our concerns," Austin says. 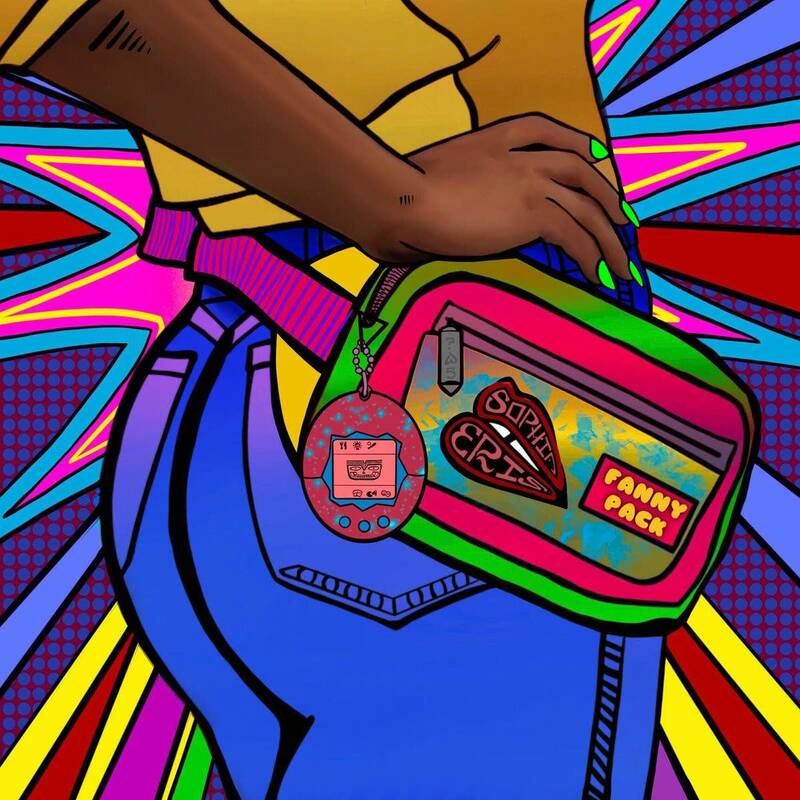 "They are the perfect example of knowing that it's not just about great music but it's also about great business, and their business model is just brilliant. They're a very profitable duo, they have a great reputation, they have great music — they kind of have the whole thing. Their willingness to share first-hand experience in that was really helpful. And then Andrew playing all the mandolin on our record was phenomenal. It brought it to life. We're really grateful to them, and we just look up to them so much." "And it's cool that we did meet because of Mandolin Orange's music," Sarah says. "It kind of made things come full circle. We're genuine fans, so it's really nice that they want to help. I text Emily pretty frequently, actually, and ask advice, and she's always very honest and supportive, and I really appreciate that, because she is brilliant." From early on, Chatham Rabbits committed to their craft, playing just about any venue they could book — including: playing to four people at a B&B gig; performing at a multi-generational frat party held in a tent on a driveway ("I had never seen anybody booty-dance to our music until that night!" Sarah recalls); and playing weddings complete with esoteric family jokes, like when wedding guest began dancing to their music dressed in a wolf costume. "We just embraced it," Austin laughs. The hard work has benefitted the duo, and it informs their decisions, such as replacing a 1986 Winnebago as their tour vehicle with a new Sprinter van that's not only reliable but gets exponentially better fuel economy. And they're growing their fan base through social media — which often includes photos of the couple's dog, Ruby, who always joins them on tour. Meanwhile, Chatham Rabbits will continue to write songs, to book shows and to tour, as they're in it for the long haul. It may be some time before Chatham Rabbits play Minnesota — but then again, maybe not. "As we grow, we're always looking to expand our reach," Austin says. "And eventually, we hope to — again, to use Mandolin Orange or Gillian [Welch] and Dave [Rawlings] as examples — they are able to reach across the United States. "That's definitely something that is on our minds constantly," he says. "We just want to grow organically and just be smart about it." Mandolin Orange perform in the Radio Heartland studio It seems impossible to want to improve on the sound of Mandolin Orange, but that's exactly what Andrew Marlin and Emily Frantz did when the duo added more musicians to the mix. Playing songs from their new album 'Blindfaller,' Mandolin Orange stopped in to the Radio Heartland studio for a session hosted by Mike Pengra. Mipso perform in the Radio Heartland studio Mipso's new album, 'Edges Run,' was recorded in Eugene, Ore., far from the band's home in North Carolina. The location, as well as working with producer Todd Sickafoose, lent a different vibe to the new album. Mipso stopped in the Radio Heartland studio to talk about the making of 'Edges Run' and to play some songs from the record. David Rawlings performs songs from his new album, 'Poor David's Almanack' David Rawlings is out with a new record, 'Poor David's Almanack,' featuring 10 new, original tunes. The album was released on Aug. 11, and Radio Heartland and The Current were lucky enough to enjoy Rawlings' first radio session in support of the new record. Rawlings is accompanied in studio by Gillian Welch, Paul Kowert, Brittany Haas and Willie Watson -- the same musicians heard on the studio album.